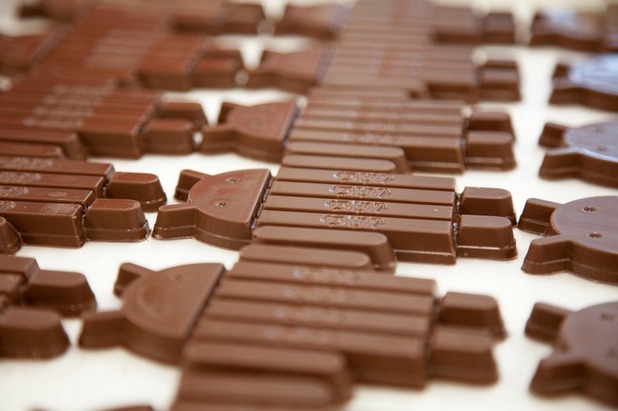 Google begins pushing KitKat update to first round of devices. 10:10 AM – Google introduced Android 4.4 KitKat to us with the new update to Nexus 5. The smartphone has surprised quite a few, with the initial Nexus 5 inventory being dry, but more over, many people are looking to get the KitKat update, officially. Google has now started to push the update to first round of devices. Of course the first round of devices are the ones it officially supports. The company took to Twitter on November 12 to announce that it will Nexus 7, both 2012 and 2013 models very soon. Also being update is the Nexus 10, which will get the KitKat update very soon. Currently, only the Wi-Fi models of the Nexus 7 will be currently updated. The cellular version will get its own update in the near future. Those individuals on non-pure Google devices will be getting their KitKat update depending on how fast the company can produce it. There are many users out there that have the Galaxy S4 for example on AT&T and are still on Android 4.2. Perhaps send in some emails to your company to update your smartphone or tablet? It won't be long until Nexus 7 and Nexus 10 users get the KitKat update. Stay tuned! can i upgrade my samsung glaxy s2 to kitkat????? Reading: Google begins pushing KitKat update to first round of devices.